Happy Monday! I hope you’re all enjoying a beautiful fall day wherever you are! The weekend went by way to fast, but I’m happy to say I was able to carve out a little bit of time for a fun DIY project. I’ve been looking for a pair of antlers for awhile now but they can be fairly pricey, so I just haven’t been able to justify the purchase. While at Round Top, Texas a couple of weeks ago, I found antlers galore! I’d like to like they all died of natural causes, though something tells me they most likely didn’t. Most of them still cost more than I wanted to pay, but then I happened upon a man that had a truckload of them and was willing to negotiate on price. Needless to say, I finally got my antlers! They weren’t mounted, and looked rather “rustic” (and not in a good way), so when I returned home, into the closet they went until I had the time to mount them and add some fabric. 3. Screw your antlers to the wood piece using 2 inch wood screws (my antlers already had holes screwed through the skull part, so I just used those holes but if your’s doesn’t have holes already, pre-drill first, then install using screws). 4. Make a template for your fabric using copy paper and a marker. I made mine roughly 1 inch smaller in diameter than my wood piece. I made sure to add 1/4″ to the desired finished size so that I could fold my fabric under (see pic) so the unfinished hem wouldn’t show. I also wanted to make sure the fabric covered the skull part completely and there was still enough fabric to nail to the wood piece. I realize that your antlers will be sized and shaped slightly different than mine, so you may have to play around a bit until you find what will work for you (it took me two tries to get this right)! Trace the template onto the fabric. 5. Fold the edges of your fabric under 1/4″, and press with an iron to keep folds in place. 6. 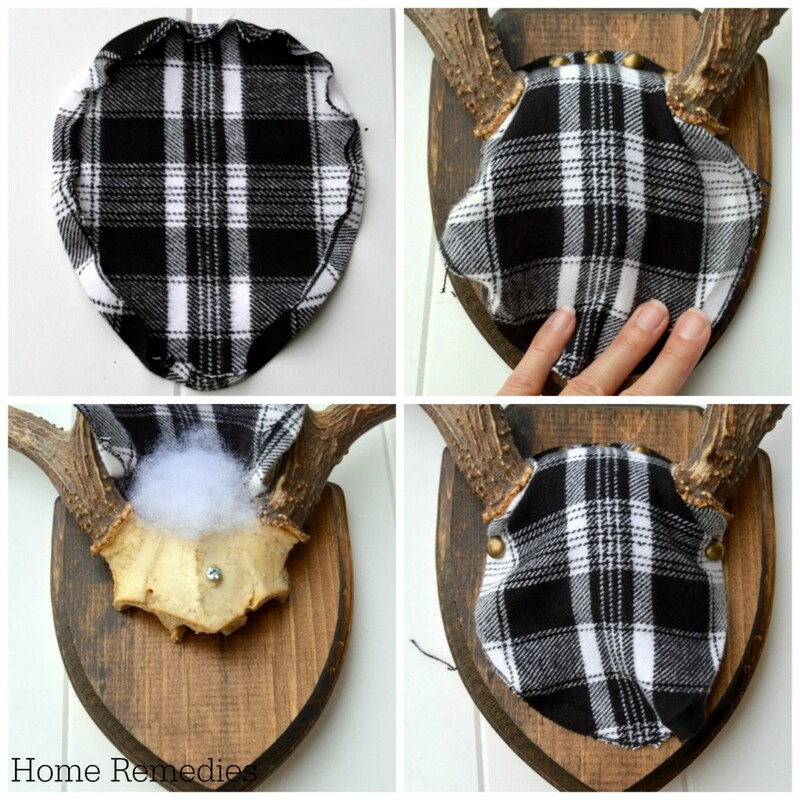 Lay the fabric on top of your antler and “rough fit” it around your antlers. Now use a few upholstery tacks and secure fabric in place at the top. Make sure you space your tacks evenly. 7. Lift up your fabric and add a little bit of pillow stuffing, then replace fabric. You’ll have to play around with the stuffing to find the amount that adds padding, but doesn’t stretch the fabric too much. 8. Begin tacking the rest of the fabric down. Tip: Only hammer the tacks in 1/2 way, in case you need to make adjustments. It’s much easier to pull the tacks out this way. We’ll hammer everything in at the end. Make sure that you do one tack on each side, then move down a space and repeat. This will help keep the fabric even and the tacks evenly spaced (see pic). Add stuffing as you work your way to the bottom. Once you place that final tack and are happy with the over-all look and placement of the tacks, go ahead and hammer the tacks all the way in. That’s it! Your antlers are ready to hang! I can’t even begin to tell you how much I love these antlers now! And the great thing is, if I ever tire of the fabric, I can easily change it out. Oh, I love these ,Amy!!!! 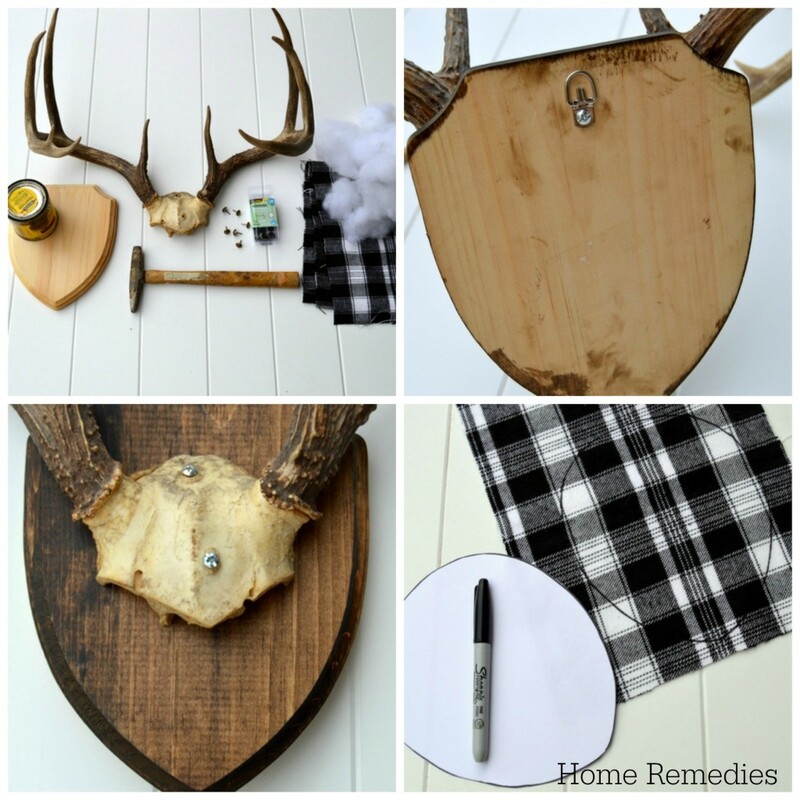 The plaid fabric & natural dark wood together are soooo rustic & gorgeous!! 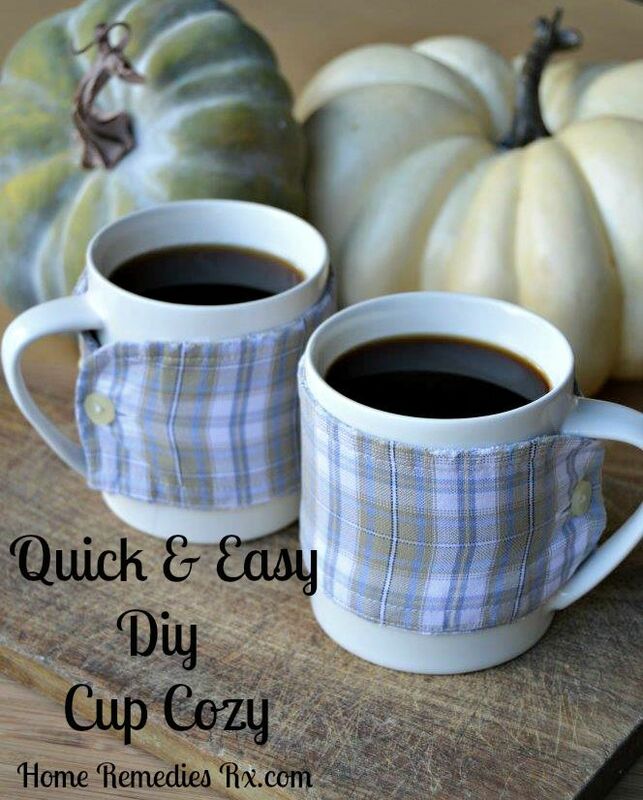 I’ve seen some other projects similar to this, but I especially LOVEEEEEE your fabric you chose & the styling! Have a great week friend!!! Thank you for the sweet compliments, Paige Rose! This project was way easier (and turned out much better) than I thought it would! Glad you like it too! Amy, I have so many of these antlers. I have been using them decoratively but also wanted to find a way to display them on the wall. I am loving plaid this season, so this project definitely caught my eye. Thanks for sharing. Thank you so much for your kind comments, Michelle! I’m glad you like this project; you’ll have to send me some pics if you decide to do this with your antlers. Have a great weekend! Those are stunning Amy! I absolutely love them and your creativety. The tutorial is easy to follow thanks for sharing this with us. Thanks so much Kate – I’m glad you like them! You’ll have to send me picture if you decide to use the tutorial. Thank You for sharing this! I’ve had some antlers I bought this summer that I’ve been wanting to get up on our wall, but I couldn’t find the right size board for it. I’m going to check out Joanne’s and then I’m going to follow your directions for covering it. This will be going on our gallery wall in our living room and I didn’t want it to be too rustic, just rustic enough (I know you know what I mean). I’m so glad I found your blog through Thoughts From Alice. I’m so glad you like the tutorial, Carol! I would love to see pictures of your gallery wall when it’s finished! Love this project Amy! They turned out great. Thanks so much, Pamela! It was such a fun project to do (and easy)! Amy, I just love this idea! It’s such a fun way to display a set of antlers for the fall season. And I think everyone is loving plaid so much right now, it’s a wonderful way to incorporate it. We’d love if you stop by to share this project (or any of your favourite posts) at our link party, Create • Share • Inspire, every Thursday at 8:00 pm EST. My husband is going to just LOVE this! He has lots of antler’s lying around but hasn’t really had anything great to mount them on (except for the cheap, non-stylish kits you buy at the local hunting store). I can’t wait to make him one of these. What a great present that will be! 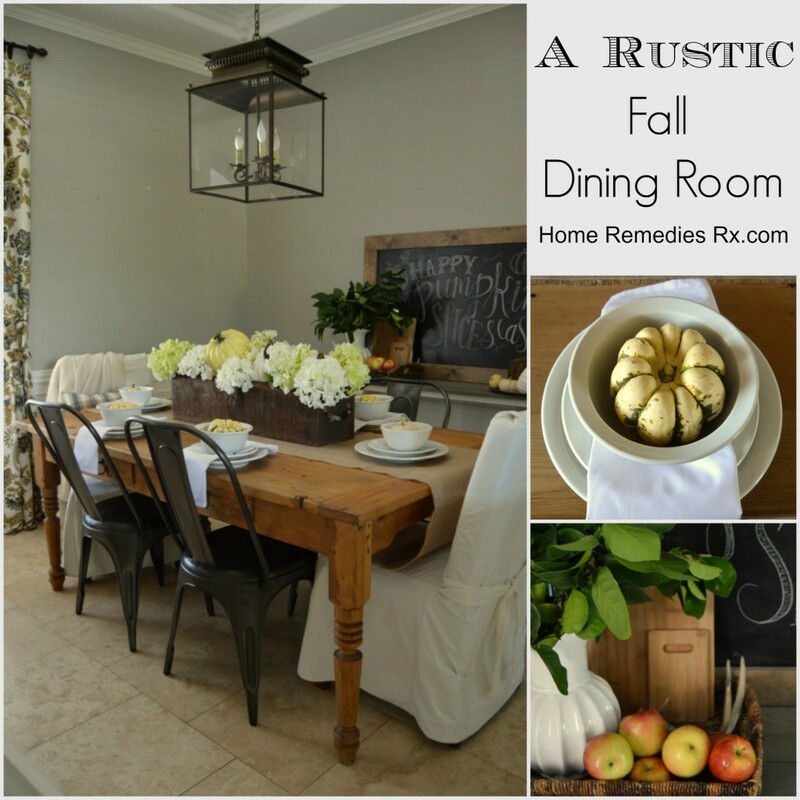 Crystal recently posted…17 Rustic Fall Ideas You Will Love! I love how your antlers turned out! I have a pair to mount and never thought of using plaid! Amy, these look great. I have a set of antlers in my garage right now that I was going to have professionally done but yours look so good I would like to try this on my own. BTW my husband found them in a field on our farm. I wanted some for awhile but we are not hunters and I kind of like the idea that they were found naturally on our property. Thanks for the great info. 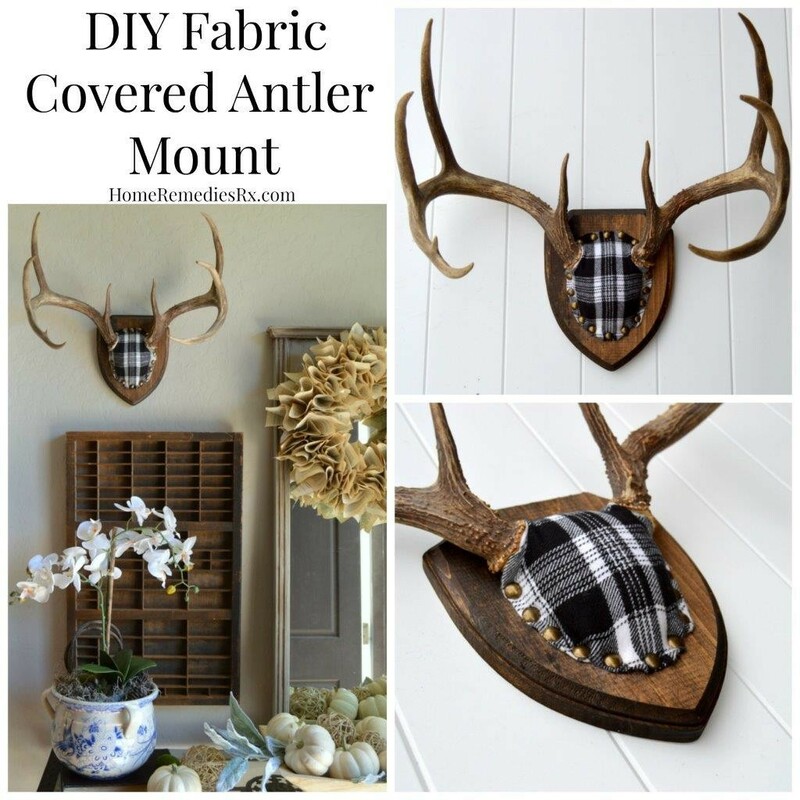 I love plaid so it really dressed those antlers up wonderfully! Thanks for sharing with Share Your Cup. I’m sure it’s not intentional, but I’m not seeing a link back to the party. Thanks Jann! So sorry for the missing link; I’ll add that right now! Such a great idea! I have one of these antlers on our wall in the basement and never thought of covering it this way. Thanks so much for the great inspiration, it’s beautiful! I’m so glad you like it, Katie! It definitely makes a statement! These antlers are great! I have a pair that need mounting. The addition of plaid cloth kicks it up…..got my wheels turning now! Thanks for the inspiration! I’m so glad you liked this project! It’s such an easy way to add some personality to a ho-hum piece of decor! Where did you find this plaid?!?! I’ve been looking everywhere for one just like it! I found the plaid fabric at Joanne Fabrics – don’t forget to bring your coupons!